The foreign ministers of the United States and Russia held talks. Russia "expressed some willingness to resume talks about the crisis in Ukraine", said US Secretary of State Rex Tillerson after a meeting with Russian Foreign Minister Sergei Lavrov. 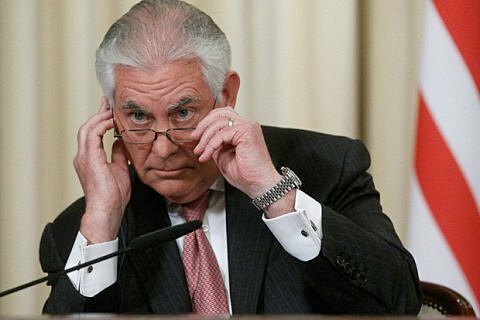 Tillerson told reporters on Monday that Washington seeks to cooperate with Moscow and considers it senseless to but all ties over disagreements, Reuters reports. The US special envoy for Ukraine Kurt Volker will soon visit Russia and meet with presidential aide Vladislav Surkov. On 23-24 July Volker was in Ukraine. In particular, he visited the frontline in the areas of Avdiyivka and Kramatorsk and admitted that wahat was going on in Donbas is "not a frozen conflict, but a hot war." After Ukraine, he discussed in Paris with the representatives of France and Germany the talks in Minsk (Ukraine, Russia, OSCE) and Norman (Ukraine, Russia, France, Germany) formats. Volker also visited Brussels for talks with the representatives of the European Union and NATO, Vienna for a meeting with the OSCE leadership, and London for talks with the British government.